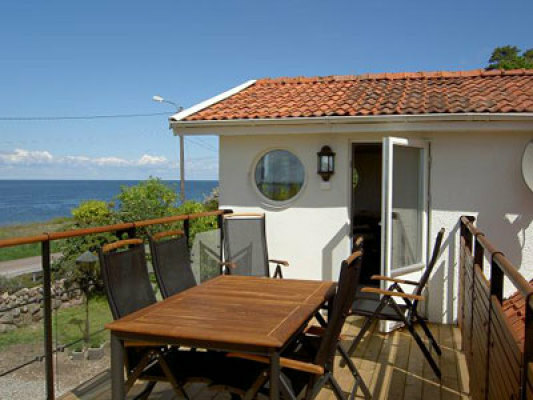 Holiday Home Sweden, Öland, Sjölunden: "Strandvillan Öland"
Only a stone´s throw away from the sea you will find this lovely holiday home on the island of Öland in South Sweden. 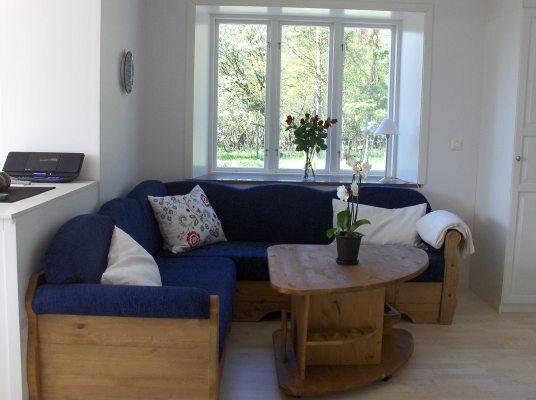 The house has been completely renovated in winter 2009/2010 and is now a modern holiday domicile with high standard. 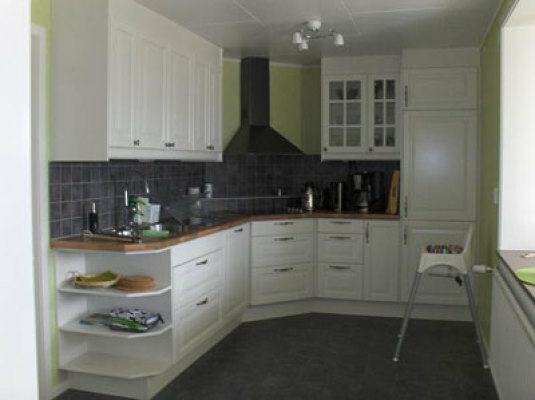 It offers up to ten places to sleep and in this way it is also suited for two families who want to spend their holidays together. 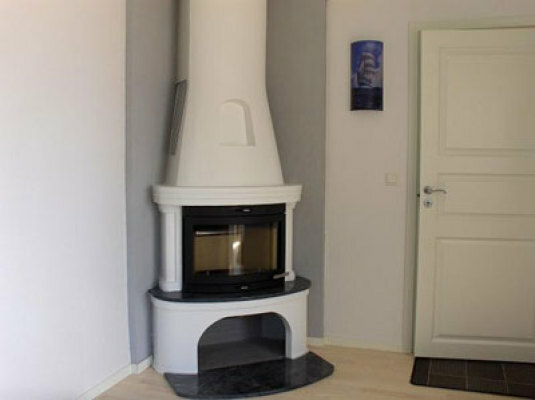 Strandvillan has a fully equipped kitchen with a ceramic hob, convection oven, microwave, dishwasher and a wood-burning oven. 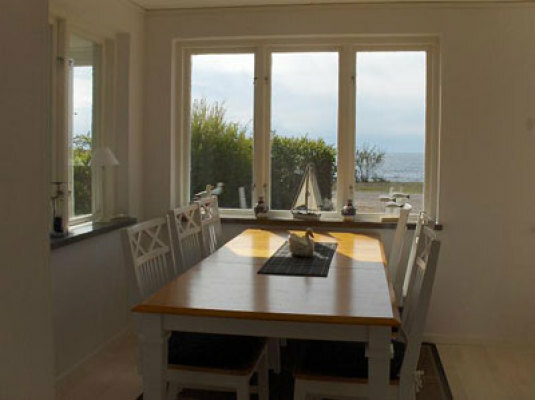 From the kitchen you will directly reach a winter garden with a view of the sea. 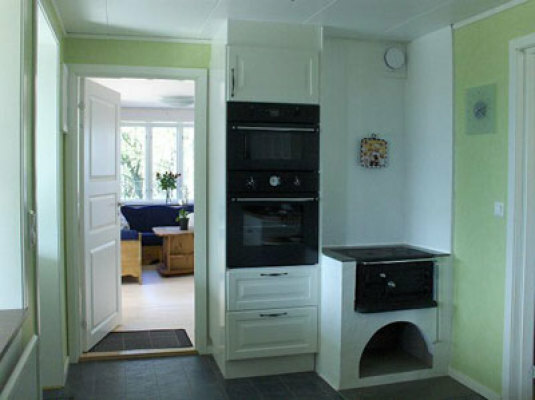 Next to the kitchen there is a bedroom with three places to sleep. 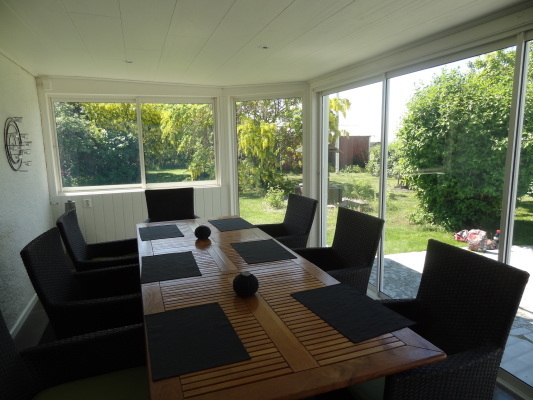 Downstairs you will find in addition a living room with a sofa bed as well as a dining room with large windows with western aspect and a view of the sea. 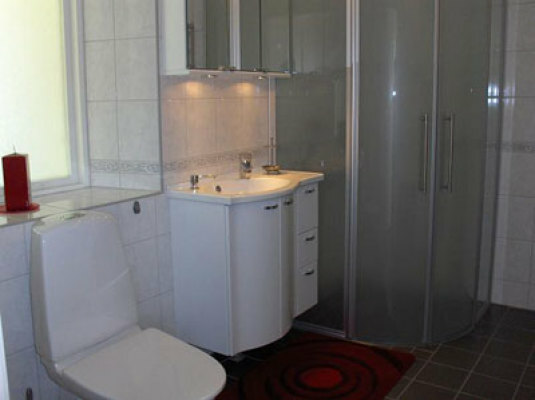 There is also a fully tiled bathroom with underfloor heating. 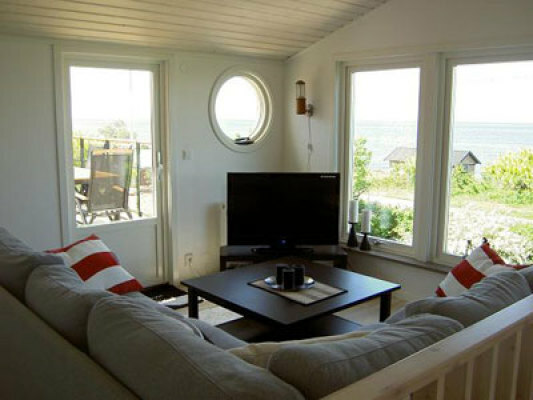 Upstairs there is a living room with three large windows giving you a fantastic view of the sea. 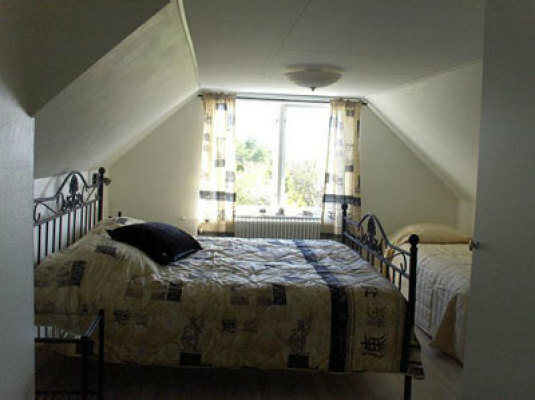 Here you will also find two more bedrooms, one of them with a double bed. 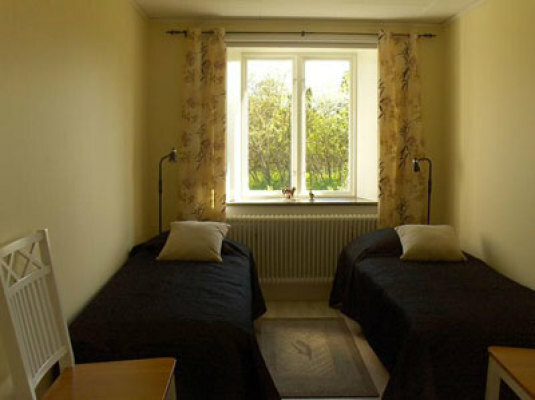 Next to the bedrooms there is the bathroom with both shower and a small sauna. Upstairs you will have access to a balcony overlooking the sea which gives you the opportunity to enjoy unforgettable and beautiful sunsets. 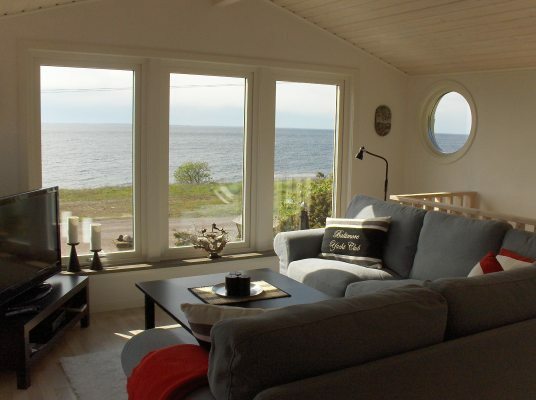 The holiday home Strandvillan is excellently suited for those of you who are looking for peace and quiet and who appreciate the exclusive location close to the sea and to beauitiful nature. Please, don´t forget that pets are not allowed here. 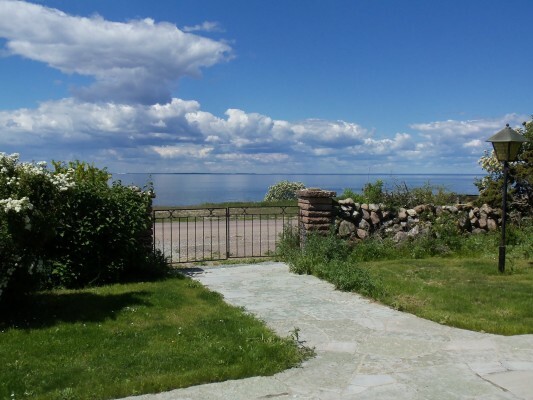 Öland, also known as the island of the sun and winds, is not only Sweden's second largest island after Gotland, but also the smallest province. 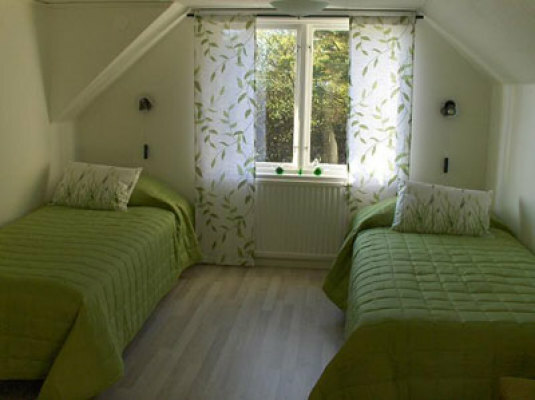 The island has about 24,000 permanent residents, but this figure is multiplied during the summer months, when visitors from all over Europe come to the beautiful place in the Baltic Sea. 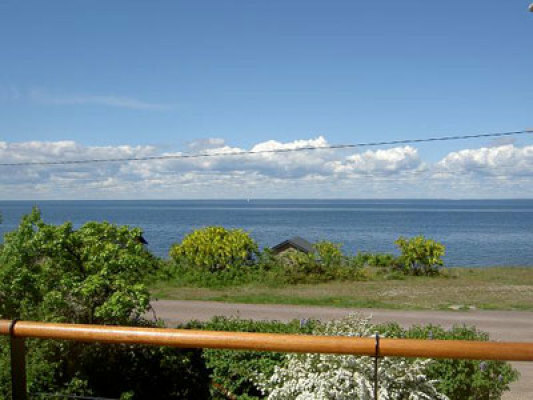 Öland is located in the Baltic Sea east of Smĺland and the provinces are separated by the Kalmar Strait. Since 1972, Öland is linked to the mainland through the Öland bridge. In connection with the inauguration the ferry traffic stopped and nowadays many people commute to work on the mainland. The town of Färjestaden, close to the bridge abutment, has increased in population and has now more inhabitants than the central town of Kalmar. Öland consists to most parts of barren limestone pavement, but the area closest to Kalmar from Köpingsvik in the north to Degerhamn in the south is more fertile, especially the so-called Mörbylĺnga valley in the south. The climate allows the cultivation of for example strawberries, potatoes and cucumbers, which are then sold throughout the country. 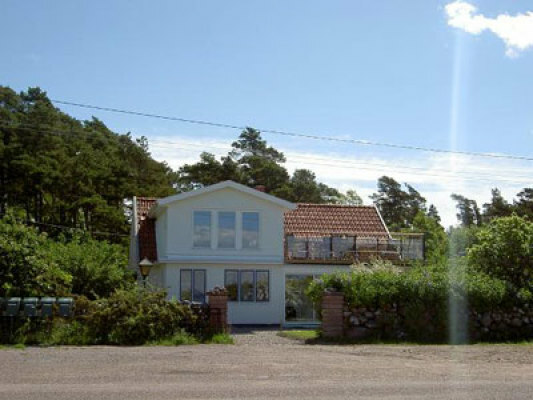 Öland's Stora Alvaret is located in the south of the island. The vast heath spreads out over an area about 40 km long and barely 10 km wide. The Stora Allvaret is the world's largest limestone. Öland is a province with many relics from prehistoric times, and a large number of these are visible monuments, often beautifully situated out in the landscape. 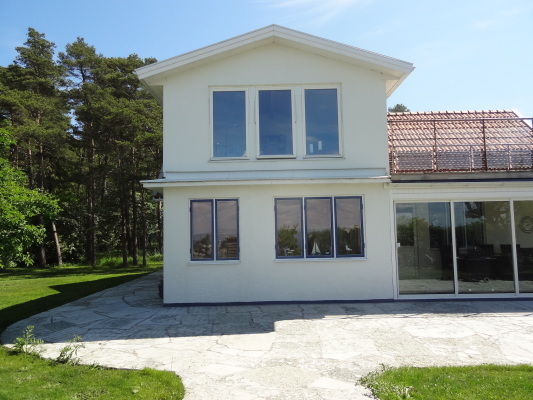 Geologically speaking, Öland a very young island consists of lime, and differs totally from Smĺland and the mainland. 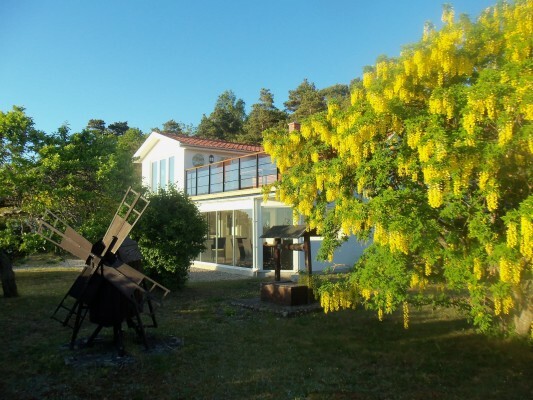 What also has become a hallmark of Öland are the hundreds of windmills made of wood, however the amount has decreases over the past hundred years. 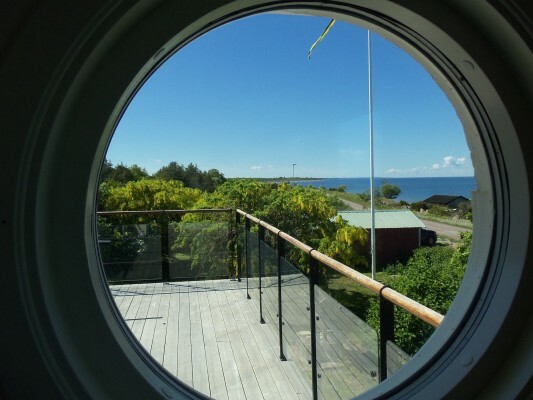 The lighthouse Lĺnge Jan is at the tip of Öland's southern point. With its 42 meters it’s the tallest lighthouse in Sweden. Solliden, the royal family's summer residence, was built by Queen Victoria. Around the castle there is a very beautiful park and gardens. During the summer the park is open and displayed to the public.